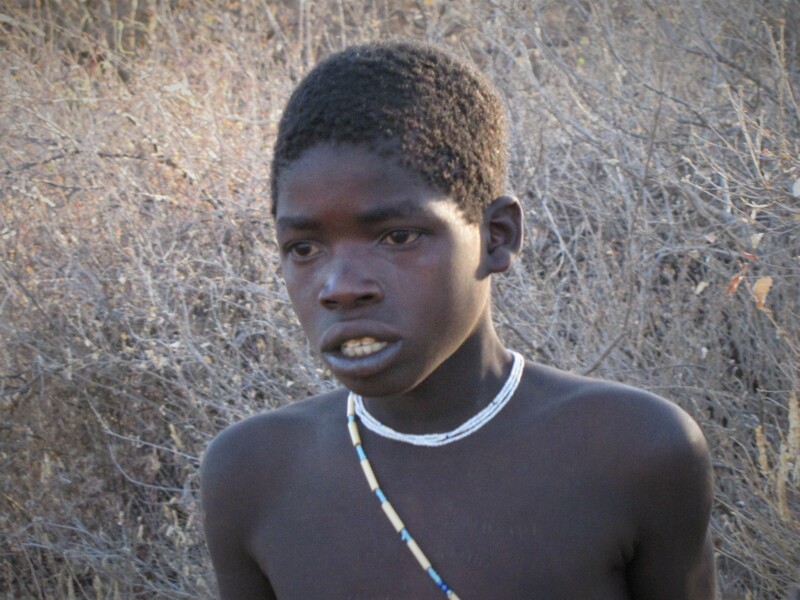 According to today’s knowledge, the cradle of mankind was in East Africa. 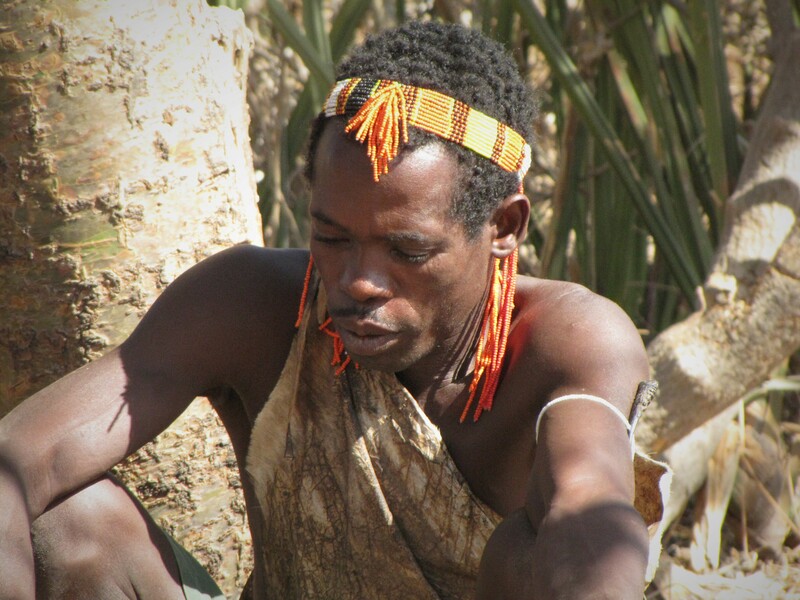 Our ancestors were all Africans who spread from here all over the world. 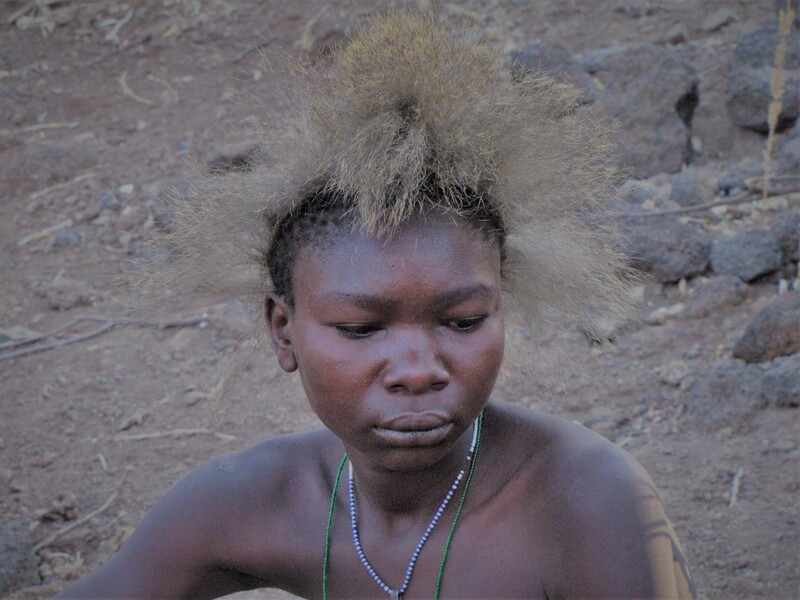 The Hadzabe still live today on a very early cultural level at the East African Rift Valley, the original home of our ancestors. 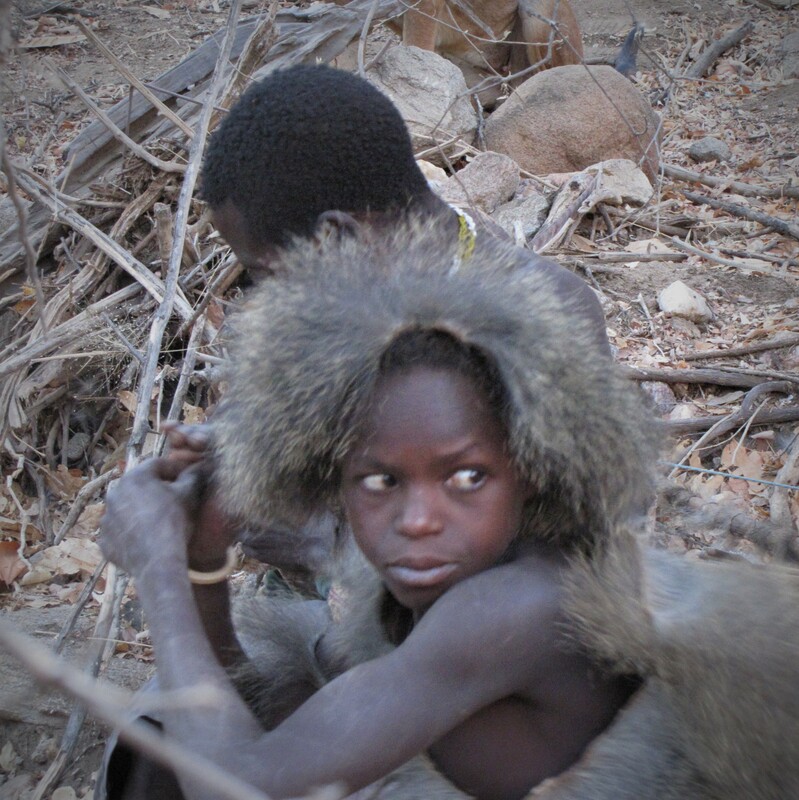 They are neither farmers nor cattle breeders, but, like our early ancestors, live as hunters and gatherers. 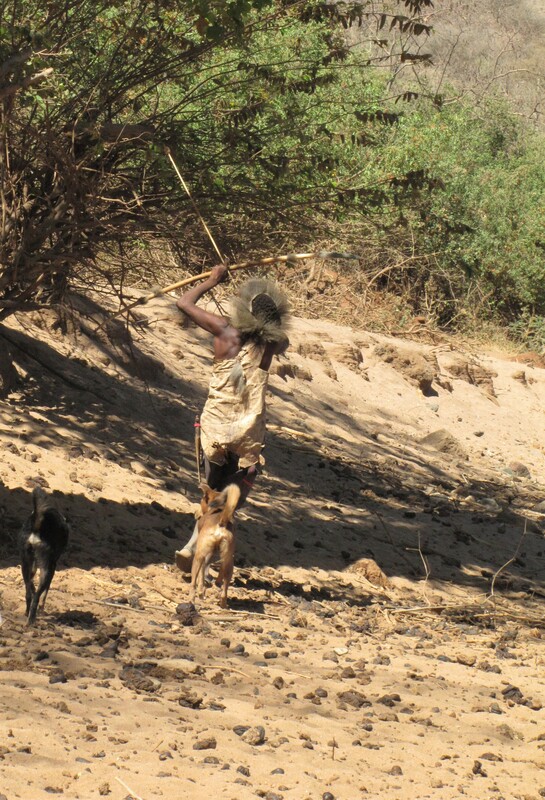 Dogs live in their tribal association, but are not trained and do not communicate with humans. Speech is foreign to them, and they show no reaction when one speaks to them. 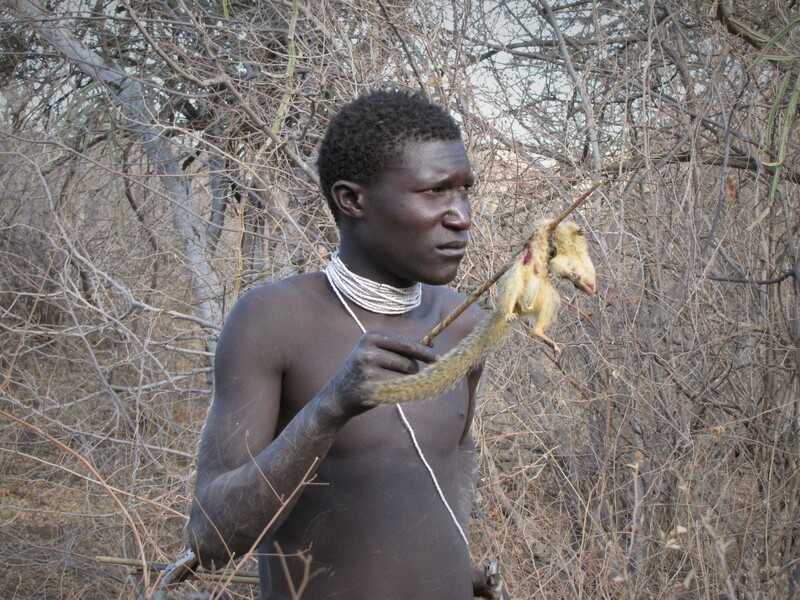 Here it becomes clear that it is not man who has “come to the dog”, but dog who has joined man as a source of food. 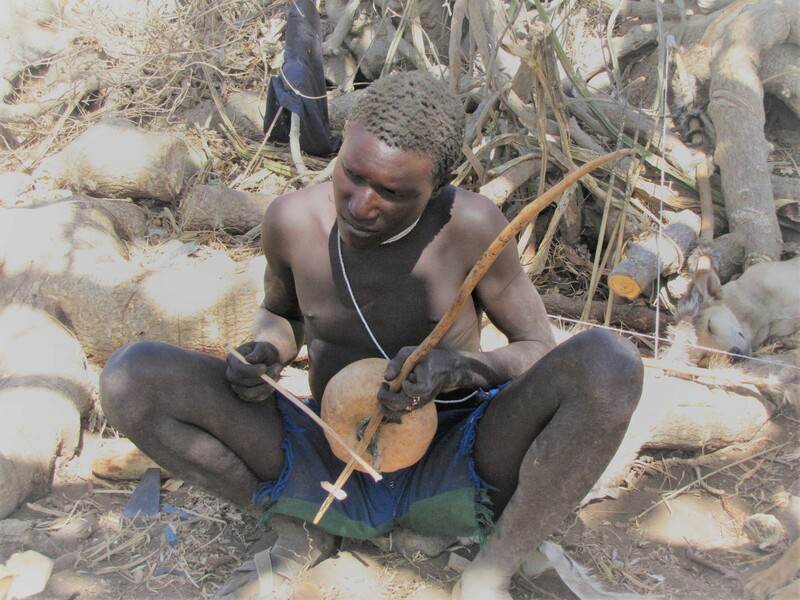 Fire ignites the Hadzabe with a wooden stick, which sits in the recess of a wooden board and is quickly turned between the hands. The resulting frictional heat ignites dry grass. 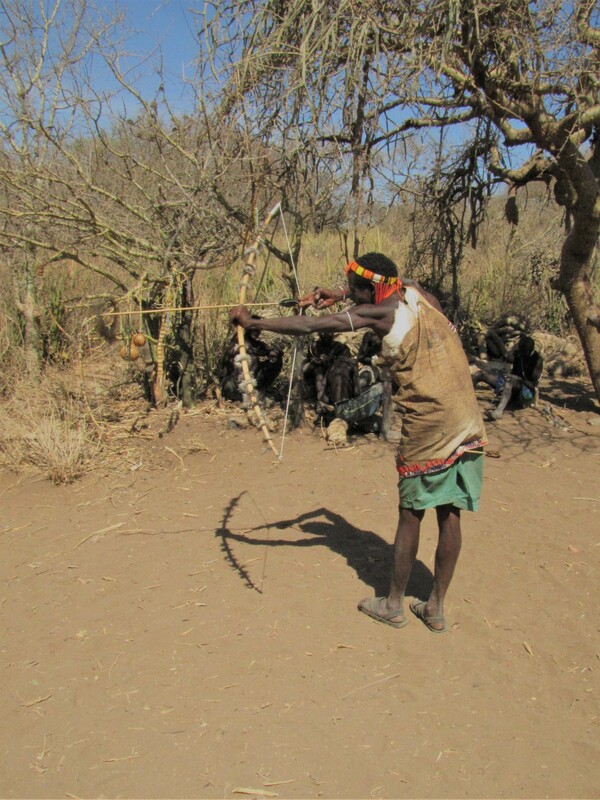 The men hunt with bow and arrow, collect berries and wild honey. 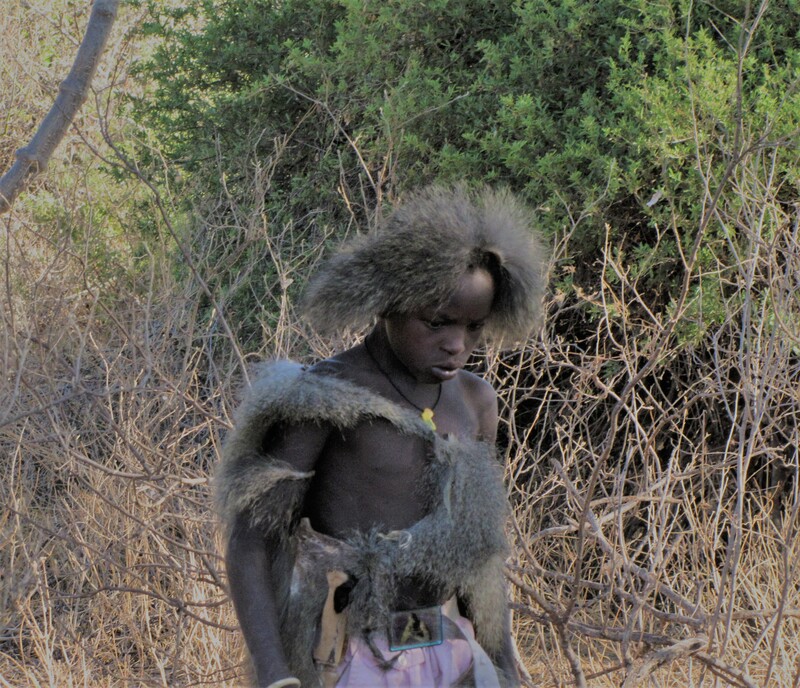 Pots are not used, but the hunted animals, smaller animals with hair or feathers, are put into the fire and eaten without culinary treatment. 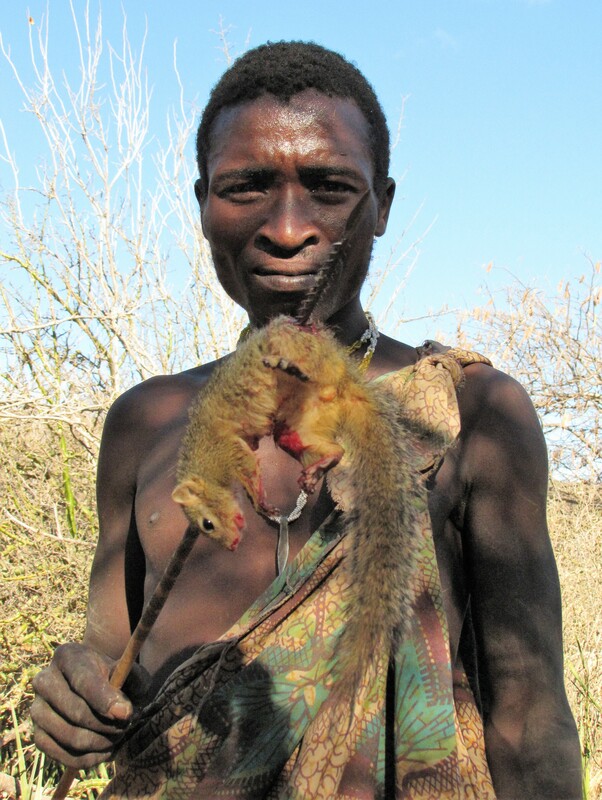 The food supply is often very small, so that the Hadzabe have little more than the minimum to survive. 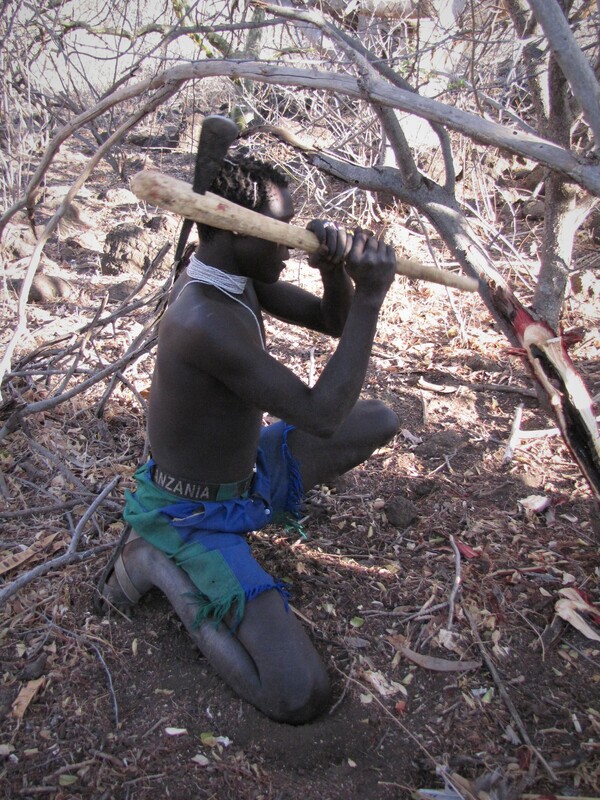 They do not dig wells, but drink water from natural water holes. 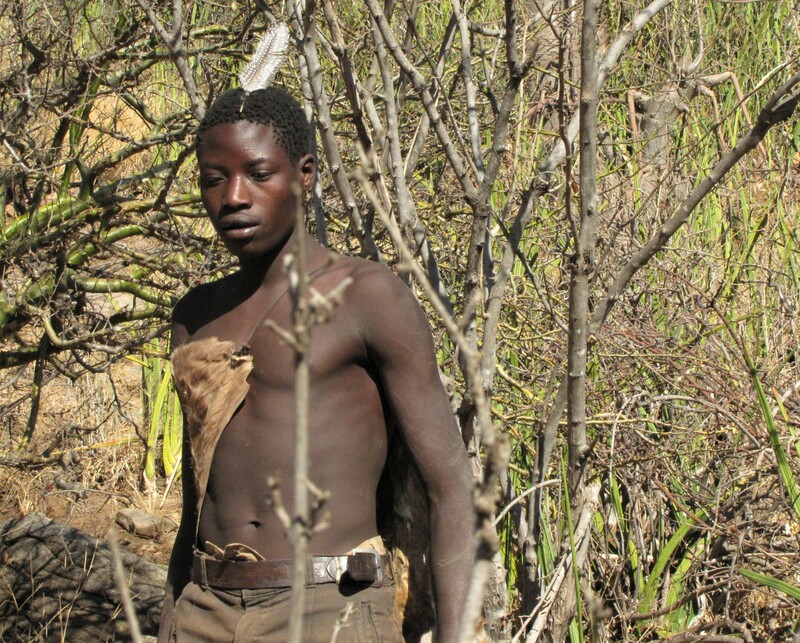 Hadzabe do not build huts or set up tents; they spend day and night in the open air, sometimes under a rock overhang. They do not weave clothes or process metal. 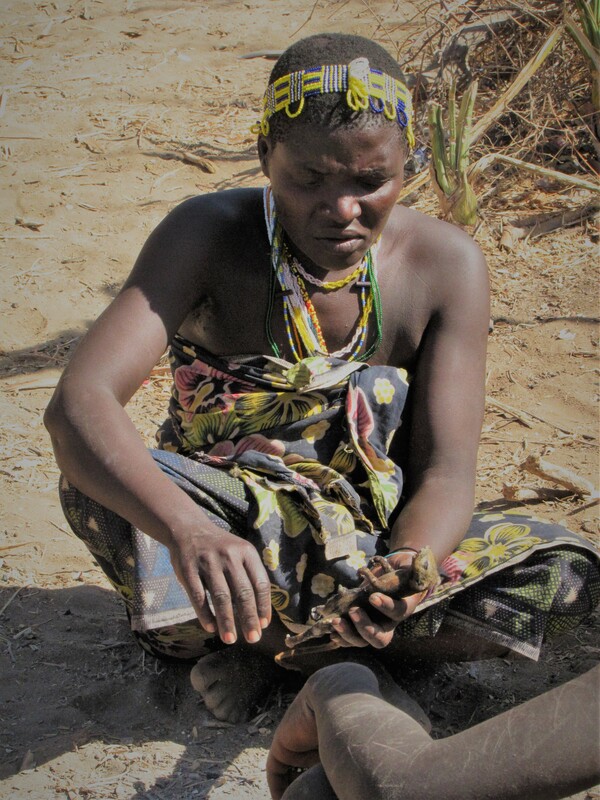 They buy knives and arrowheads in barter from the forges of Datoga, a neighbouring tribe. 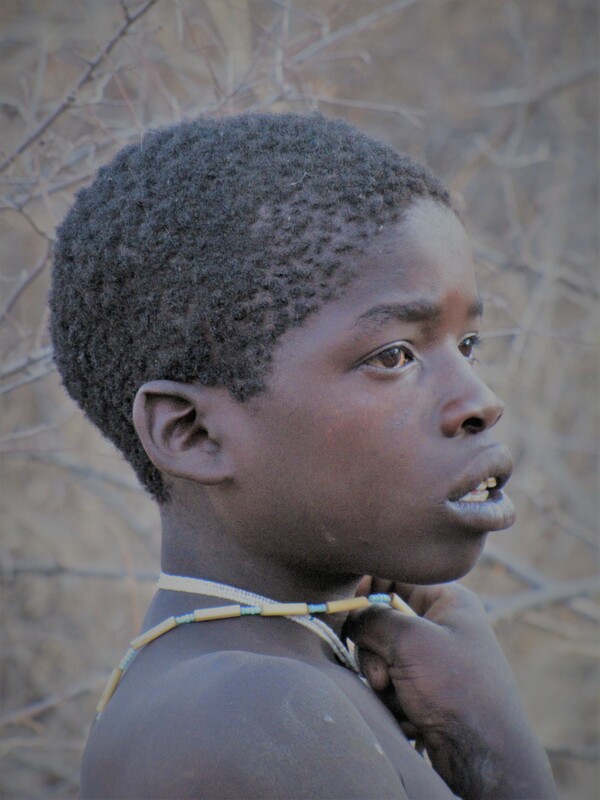 The Hadzabe have no close genetic relationship with neighbouring peoples and their language is independent, writing is unknown. Their nature is serious and reserved, but friendly. They always wanted to give me something of the little they had. 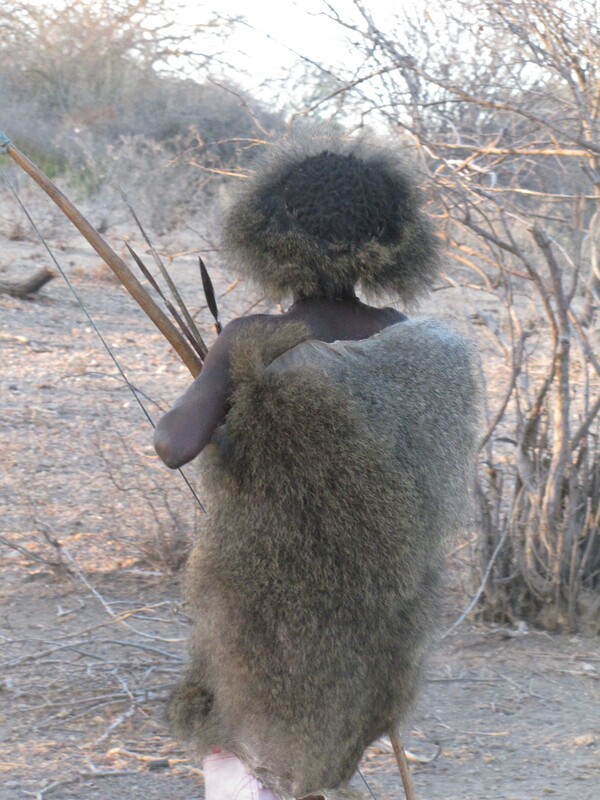 The Hadzabe can be seen as a living fossil, a society in which we, in our ancestral homeland, meet our early ancestors. 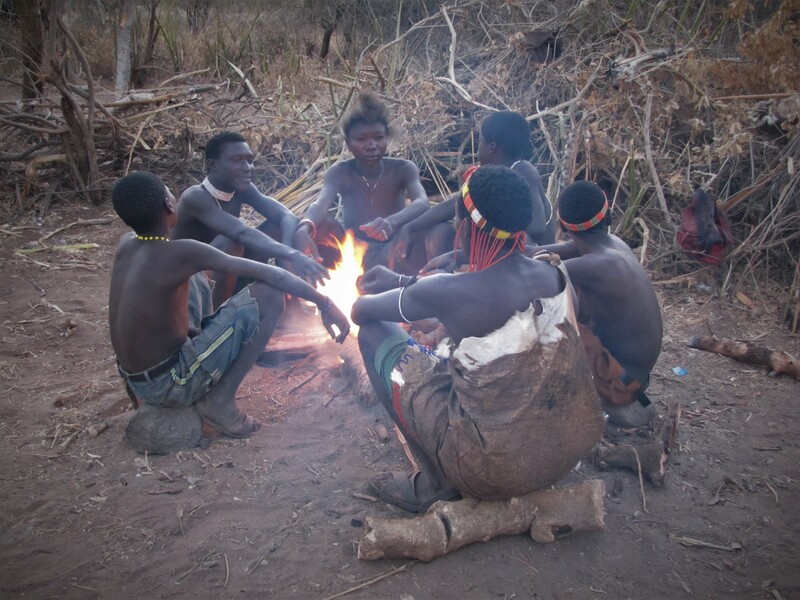 The pictures show two different groups of Hadzas, at the morning campfire and hunting.